Za’atar, an ancient Middle Eastern seasoning with hints of nutty and woodsy notes, is a staple in Levantine cuisine and to have it enrich a salad like this delivers a unique pizazz. 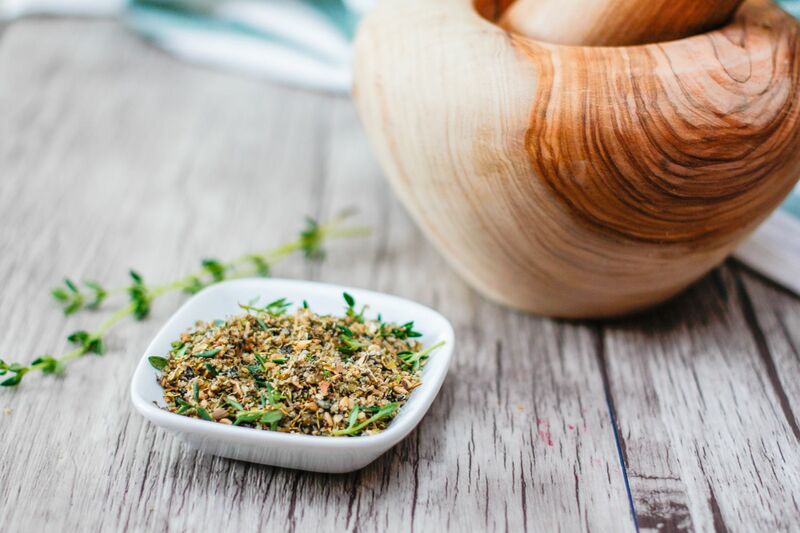 Now in case you’re wondering what Za’atar is – it’s a condiment made with ground-dried thyme, oregano, marjoram, mixed with toasted sesame seeds, sumac and salt. In a small bowl, combine the chickpeas, za’atar and olive oil. Toss to combine and spread out the mixture on the prepared baking sheet. Bake for 30-35 mins or until the chickpeas are crisp, shaking the pan halfway through. When the chickpeas are done, make the dressing. In a large bowl, whisk together all the ingredients for the dressing. Add the Radicchio and carrot noodles to the dressing and toss to combine – divide the salad among four plates – and top with the chickpeas and feta. 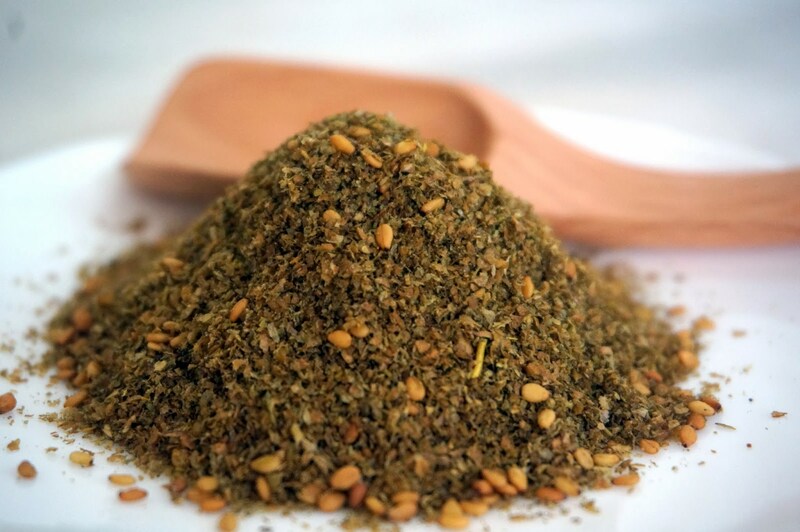 Made with different proportions by women all over the Middle East, Za’atar boasts impressive health benefits. It improves the immune system, skin quality, helps build strong bones, increase circulation, clear the respiratory tract, soothe inflammation, boost energy, aid memory, and treat chronic diseases. And it’s versatile and tasty to boot. What else could we ask for?